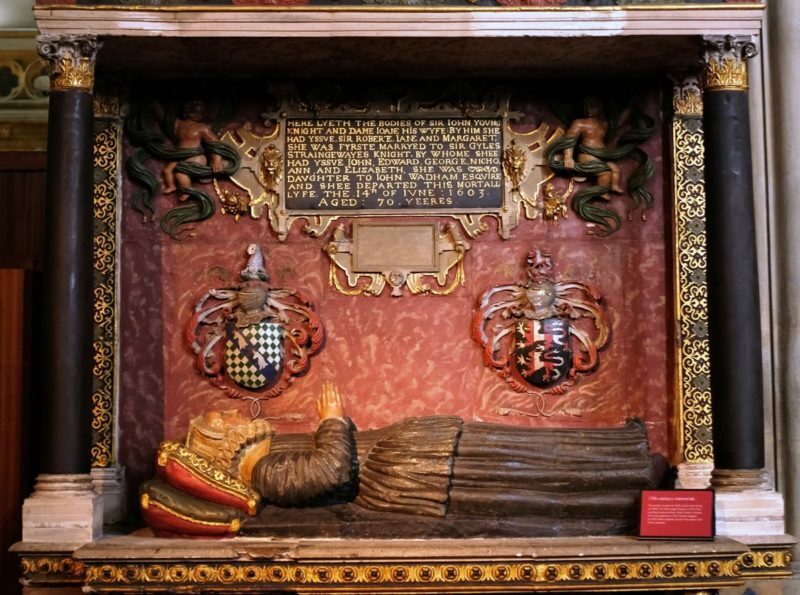 part of the tomb of Joan Young d.1603 and her husband Sir John d.1589 in Bristol Cathedral. 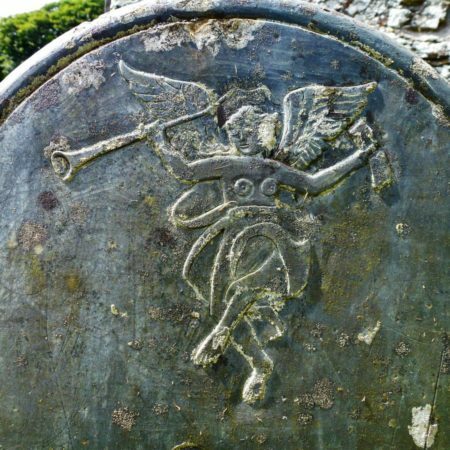 One angel is holding a clock, the other an hour-glass. 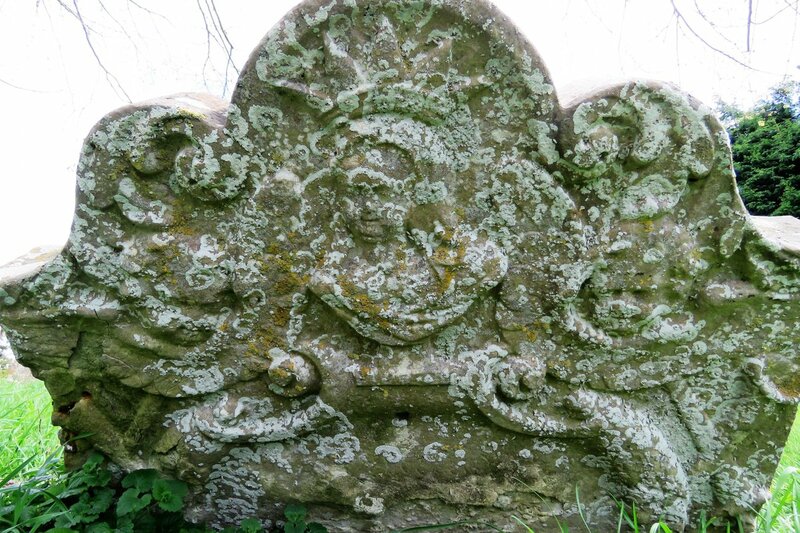 This suggested some sort of memento mori image – the passing of time, the inevitability of death. 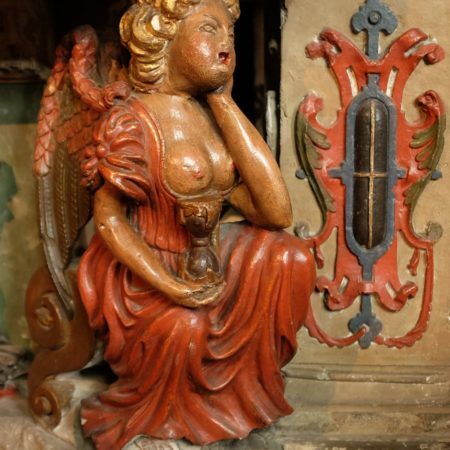 Malcolm Stoneman @mutley7781 tracked down The Flaneur’s blog at http://flaneur.me.uk/05/bristol-cathedral-i-wouldnt-expect-to-see-that-in-a-cathedral-bristolcathedra/ with a speculation from the Cathedral team that the open mouths might suggest they were originally intended to be blowing trumpets. 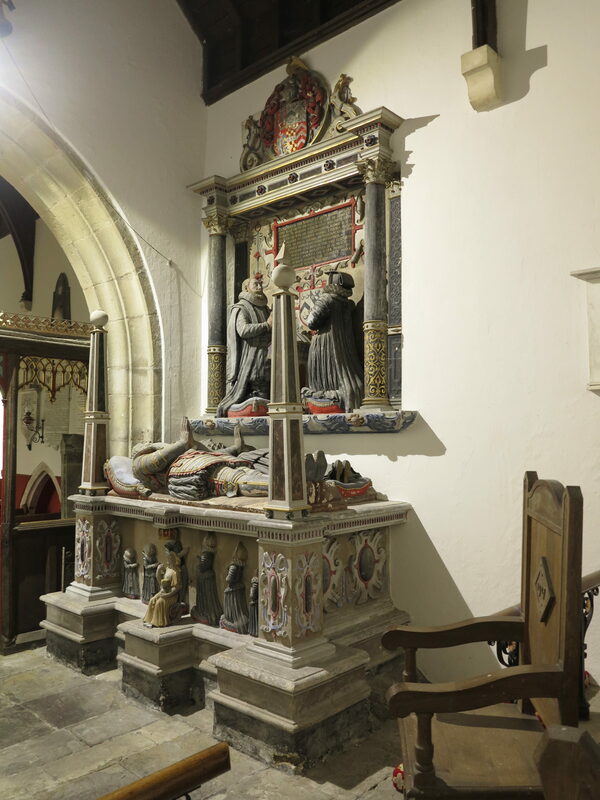 The Cathedral staff also said ‘Such figures, derived from classical antecedents, are not unusual on ‘vernacular’-quality monuments and buildings at this date.’ There is, for example, the single angel on the Bassett/Mansell/Aubrey tomb at Llantrithyd in the Vale of Glamorgan – less luridly coloured but similarly bare-breasted and holding an hour glass. 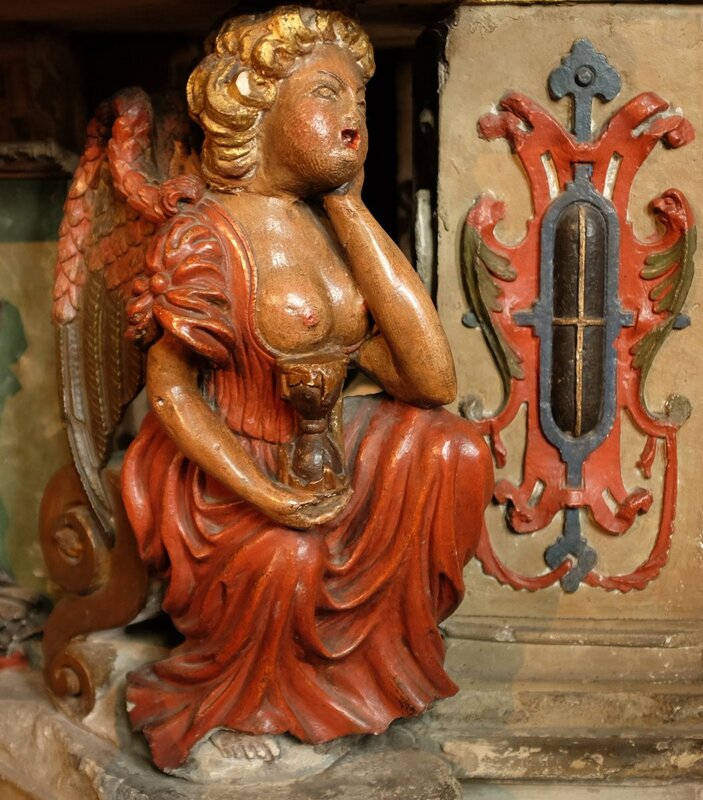 At this point @stiffleaf and @JonathanFoyle got involved, suggesting analogies with depictions of the Virtues. 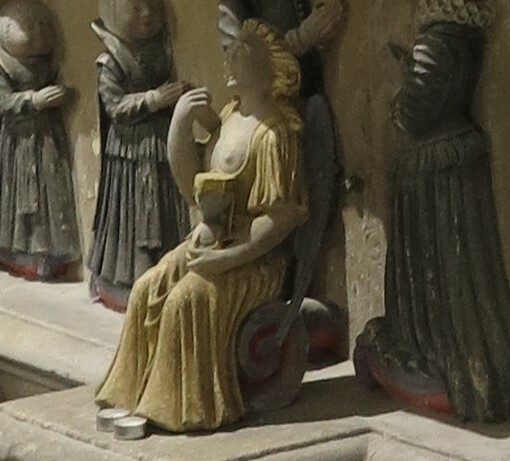 Charity is often bare-breasted (and feeding an infant) but Temperance is the one who is depicted with clocks and hourglasses (because of the way that timepieces enable you to regulate and control your life). 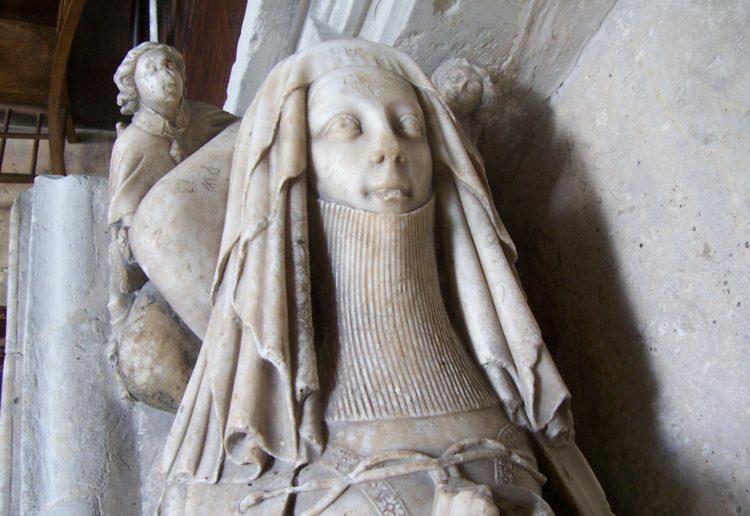 They are all depicted bare-breasted at times – as here on the tomb of Robert Cecil, Earl of Salisbury (Stiffleaf’s photo). 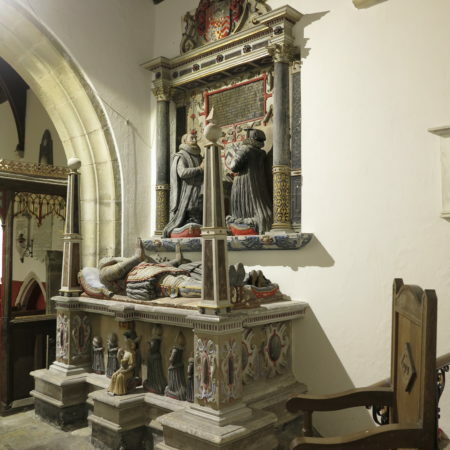 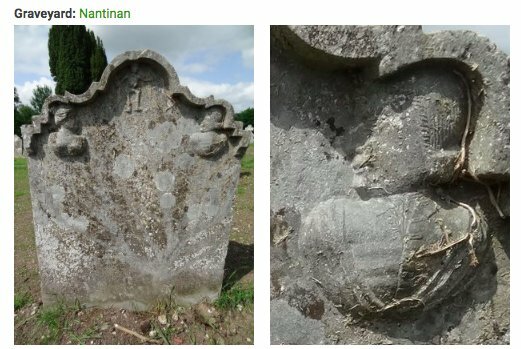 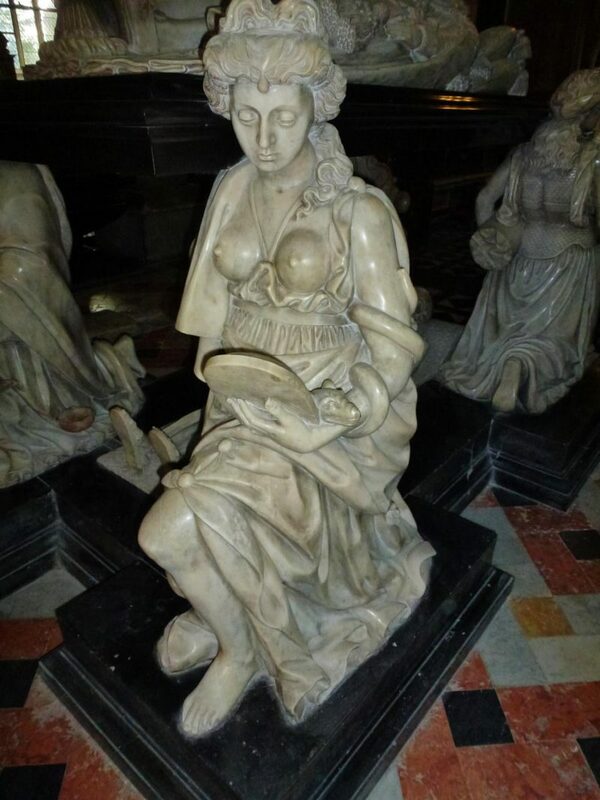 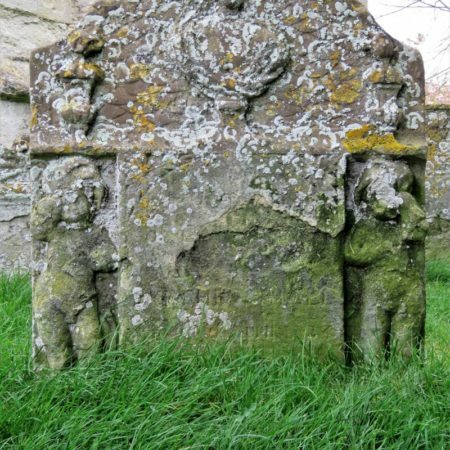 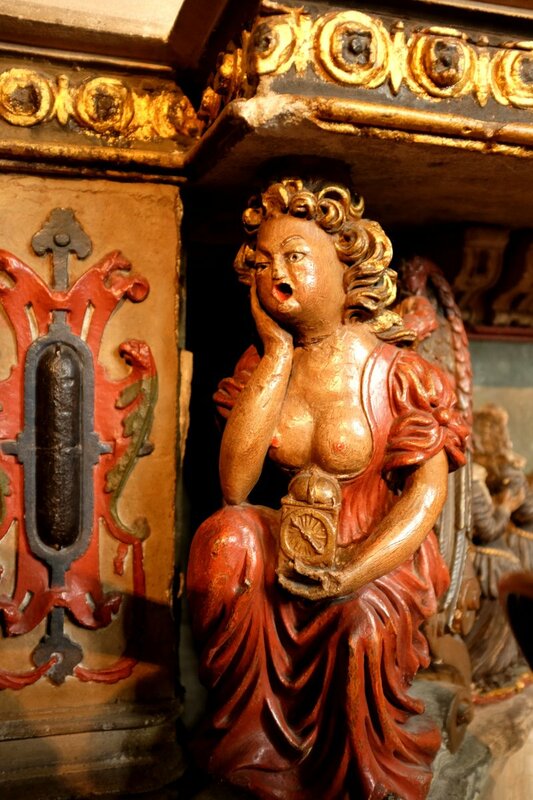 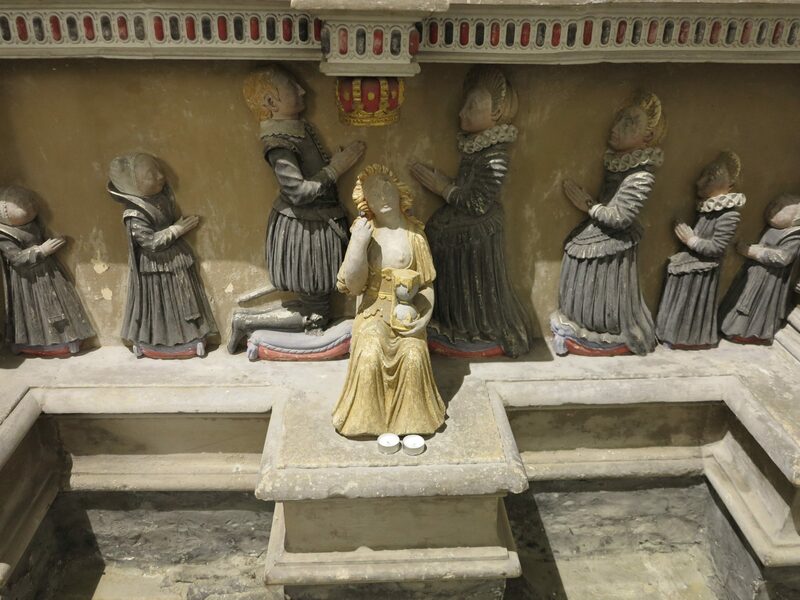 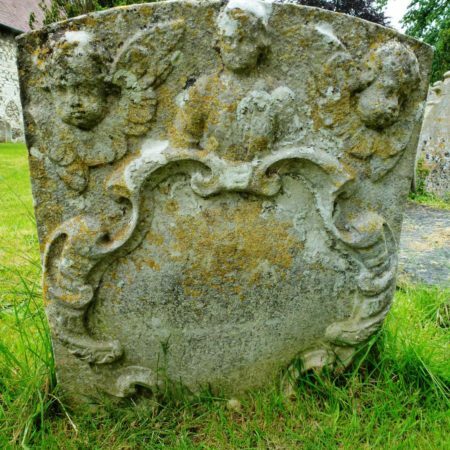 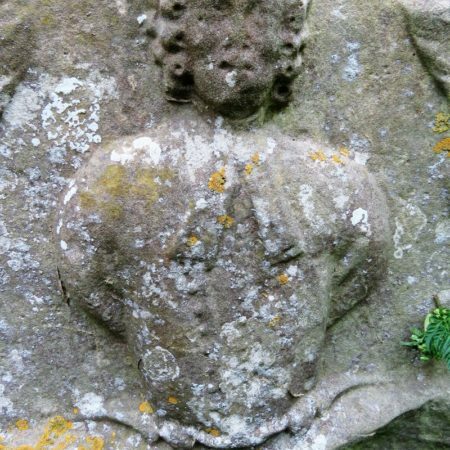 For more on the Virtues on tombs, and some wonderful photos, see Jean Wilson’s article ‘Ethics Girls: The Personification of Moral Systems on Early Modern English Monuments’ in Church Monuments 13 (1998). 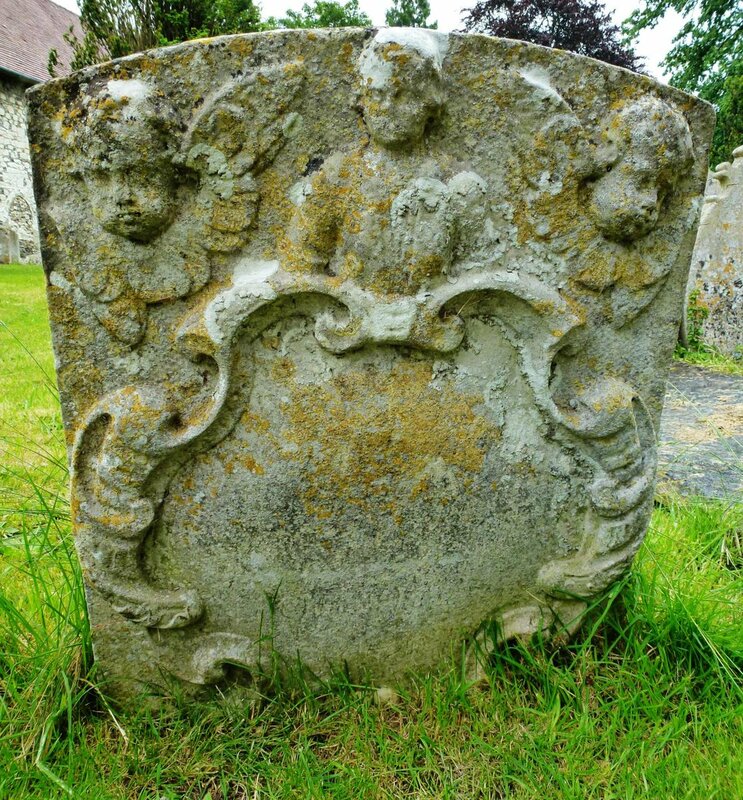 Stiffleaf also sent these wonderful angels from Tawstock and Altarnun. 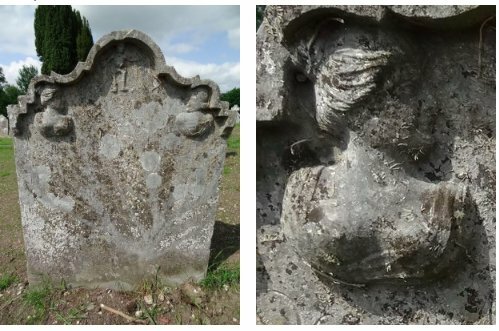 So it looks as though the figures at Bristol, Llantrithyd and elsewhere are a mash-up of angelic and classical with undertones of memento mori: an attempt to bring religious iconography in line with Renaisssance neoclassicism. 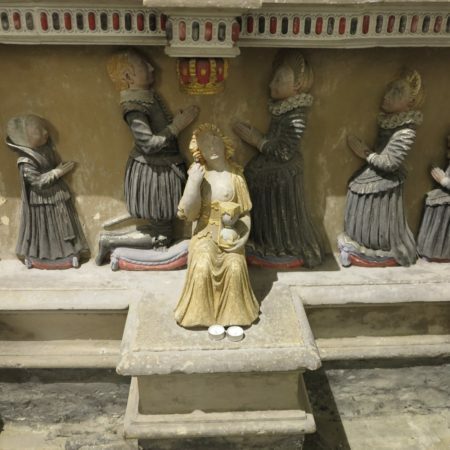 Their popularity was probably (like so much in tomb design) a matter of fashion as much as anything else – you saw a rather fancy tomb, admired it and used parts of it in your own. 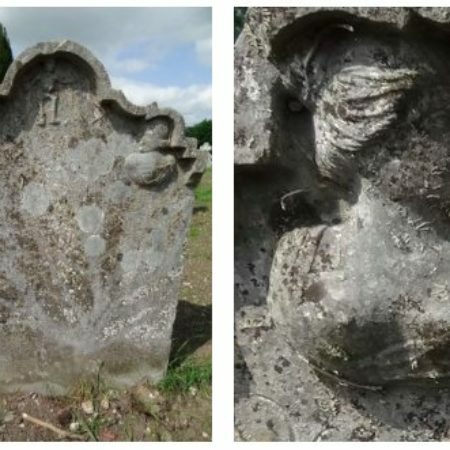 Then the bare-breasted angels on headstones show how the fashion spreads across different social groups. 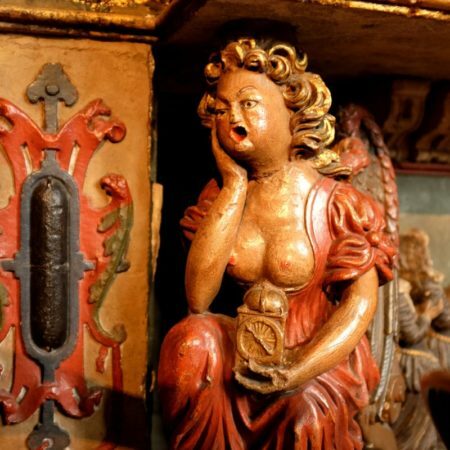 Of course, this being Twitter, we also went off the point a bit – a word-association string led from trumpets to strumpets (‘and all the strumpets undid for him on the other side …’) and crumpets, and we had a long digression about breakfast goods and what you should put on your porridge. 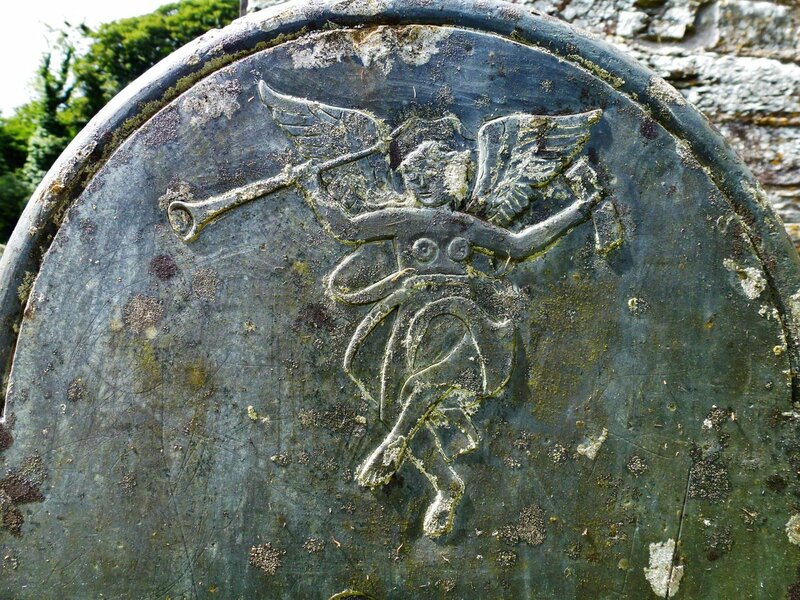 Stiffleaf complained that the cake recipes weren’t even vegan, but we found him a vegan Welsh cake recipe and moved on. 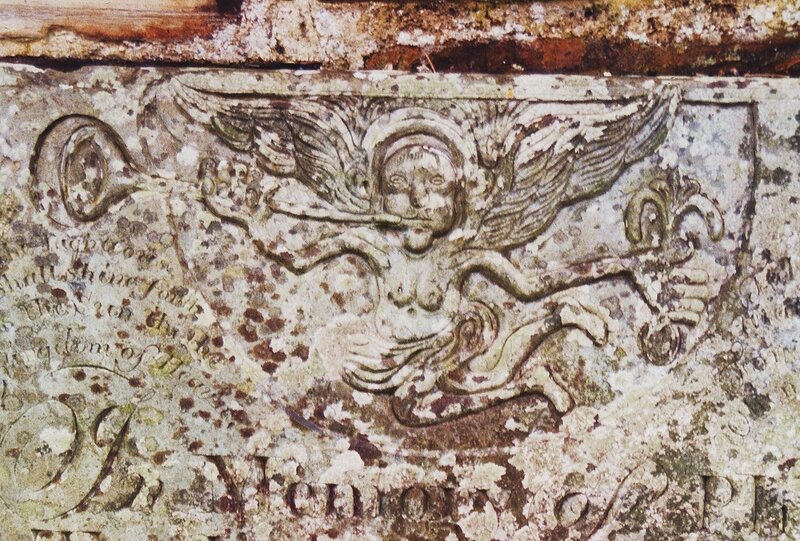 may show bare-breasted angels, though they are very worn and may show shrouds or just clothing. 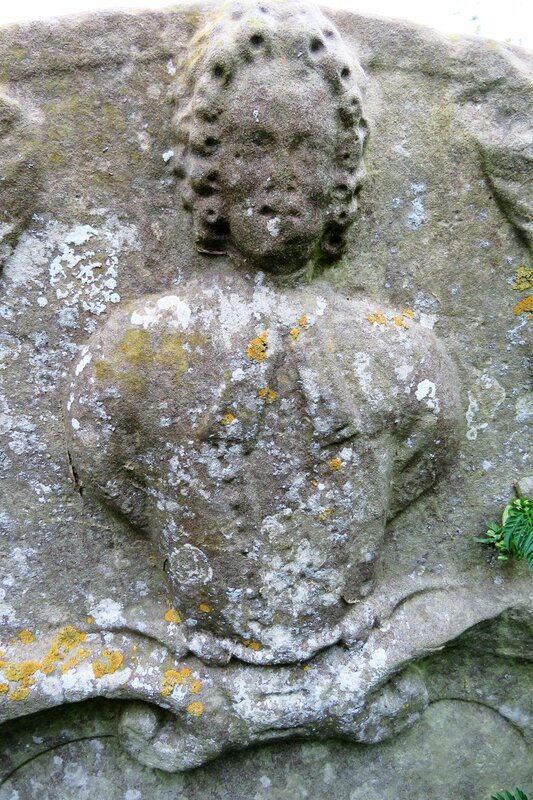 Stiffleaf suggested they were portrait busts like these at Great Haseley, Chinnor and Cookham. 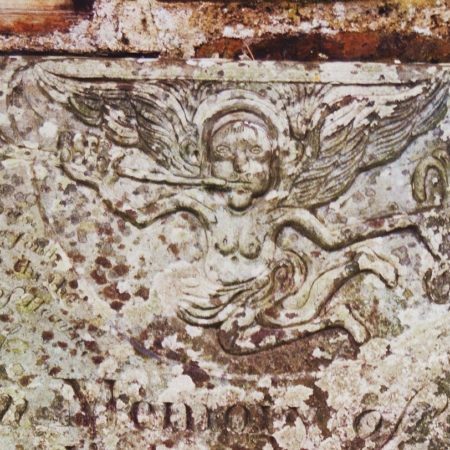 Has anyone mentioned the Christmas brothers, John and Matthias in this discussion? 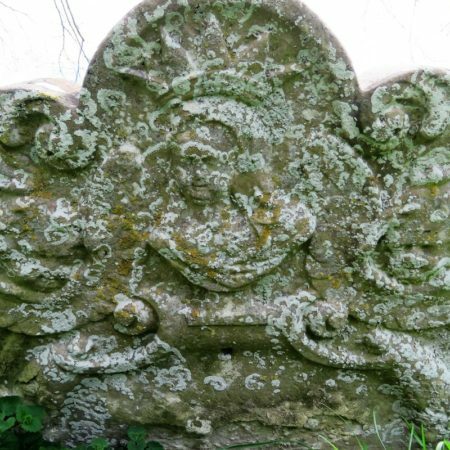 They were carvers to the Navy as well as monument-makers in London in the mid 17th century and did elaborate figure-work for ships. 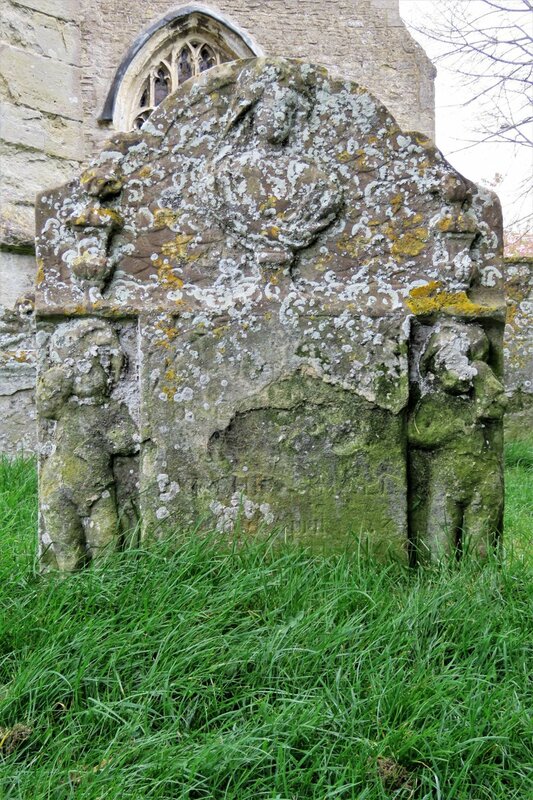 The two figures which started this discussion could well be their work. 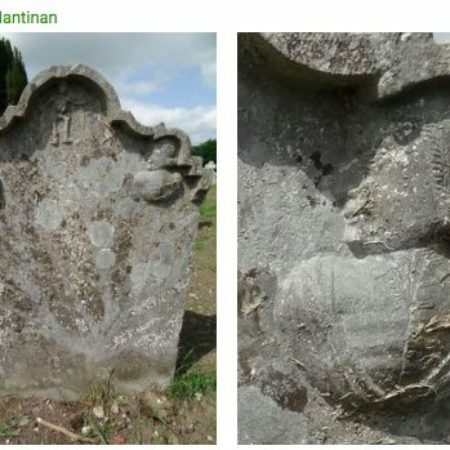 Does anyone know where they are and what their history is?